A group of California prison inmates serving life sentences has raised more than $1,300 for victims of last year’s Hurricane Harvey. These inmates stand convicted of first-degree murder with special circumstances and are serving life sentences without the possibility of parole. They’ve changed the meaning of the acronym LWOP that stands for “life without parole” to Lifers With Optimistic Progress (LWOP), an activity group inside the California State Prison – Solano. 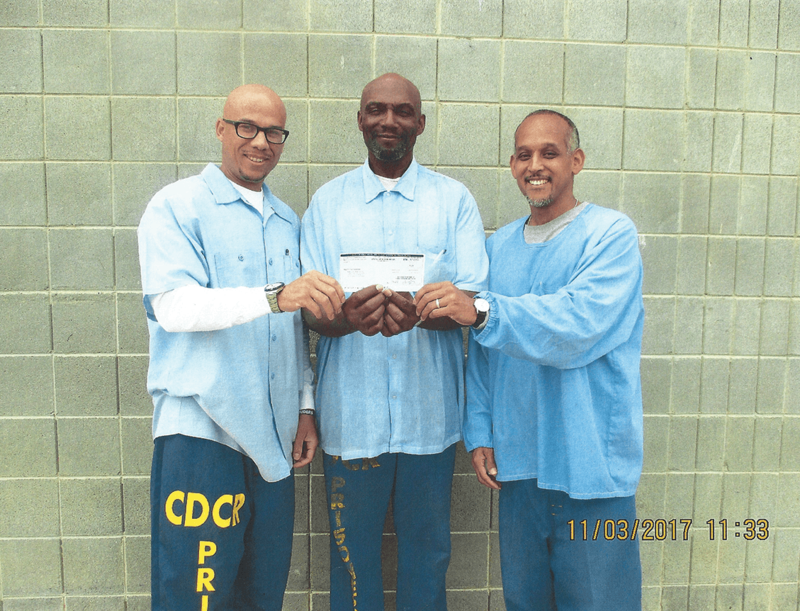 The LWOP Activity Group hosted a donation drive to raise the money from other inmates after Hurricane Harvey destroyed millions of dollars’ worth of property in Texas last year. They planned to present the Sacramento branch of the Red Cross with a $1,372.05 check. The check was cut by the accounting office on Sept. 26. However, the planned news media presentation didn’t happen because somehow the check was misplaced. After several weeks of scrutiny, the check was found on Nov. 3 and was received by the Red Cross on Nov. 21.